Location: third floor and fourth floor, District 3, International Trade City. Opening hours: 09:00-17:00, except a 7-day-close down during Spring Festival. The clothing accessories in the market include fasteners, zippers and other accessories. You can go around hundreds of shops, have a look the model and inquire the price. The quality and price are different from shop to shop, so it is very important for you to ask more shops and compare the price. Then you can decide which shop you can place the order. The minimum order quantity differs from each other. Some shops allow the customers to place the small order and mix designs. But others can only produce the large order and mixing designs is not allowed. What’s more, maybe you want to buy a sample to test the quality and market. Some shops can provide you a sample for free. Sometimes, you should pay more than wholesale price. Most of the shops are the direct seller of factories. Others are the agents and distributors. Most of the factories are around Yiwu city or Zhejiang province. They take the market as the showroom or a window of the world. If you have more cooperation with the suppliers, you can test the samples and visit their factories. With the globalization and recovery of the economic disasters, the commercial is flourishing. The factories of clothing accessories treat Yiwu as the window opens to the world. 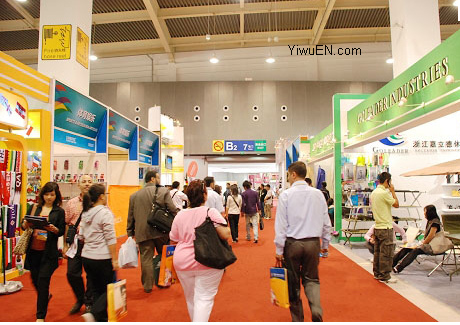 Because of the reputation of the clothing accessories market, more and more foreigners come to Yiwu to purchase. Some of the business men amazingly find it that they get more profit than purchase in their own countries. The suppliers of the clothing market always display their models in the shop, especially the new one in conspicuous place. It is of course OK for the customers produce the models they design themselves. You will be amazing by the variety of commodity in the clothing market. I think you can find those accessories satisfy your local customers. Welcome come to the clothing accessories. there is another clothing market-Yiwu new huangyuan clothing market if you want to buy man’s clothing ,woman’s clothing, children’s clothing, all you want to buy will realize in there!